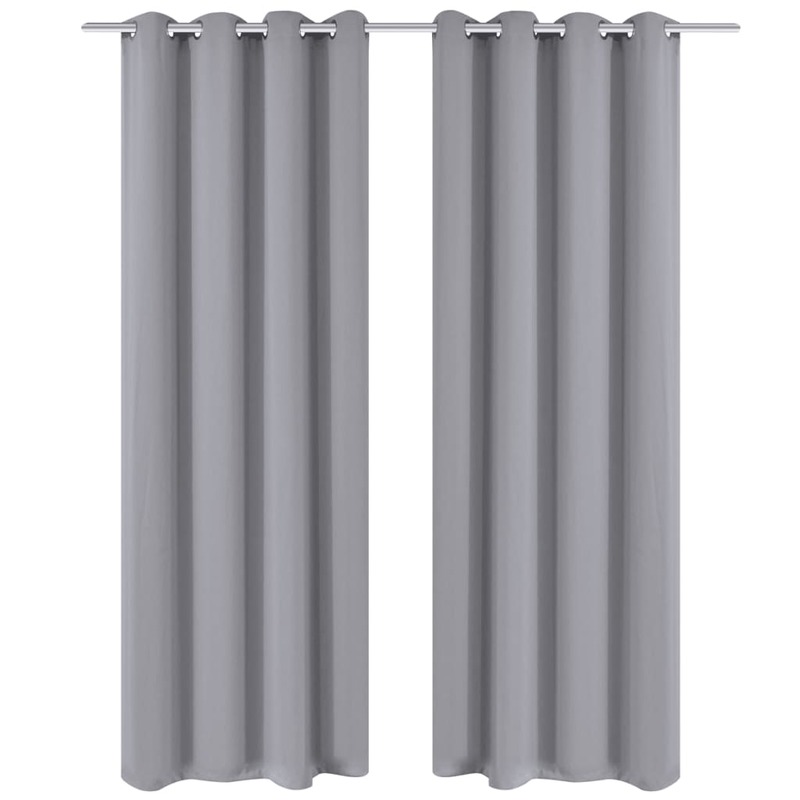 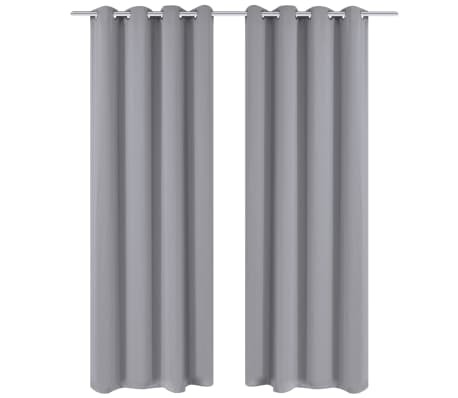 2 pcs Gray Blackout Curtains with Metal Rings 53" x 96"
These elegant curtains will look great in your living room, bedroom, office space, etc. They will give you privacy and block out all incoming light. 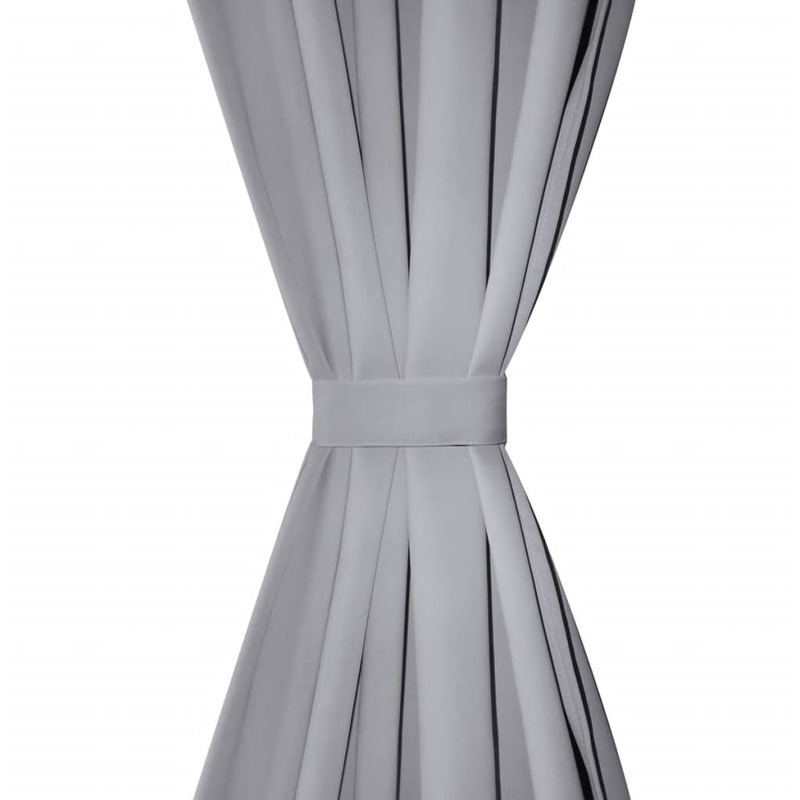 The curtains have a simple yet timeless design. Thanks to the metal rings, the curtains can be put up easily, and you can keep them open with the included tiebacks. 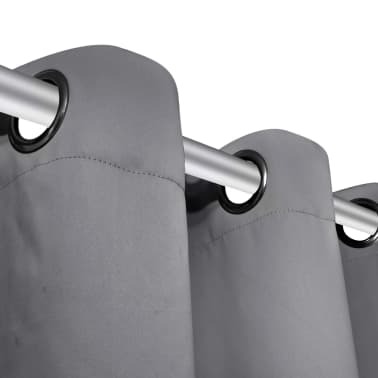 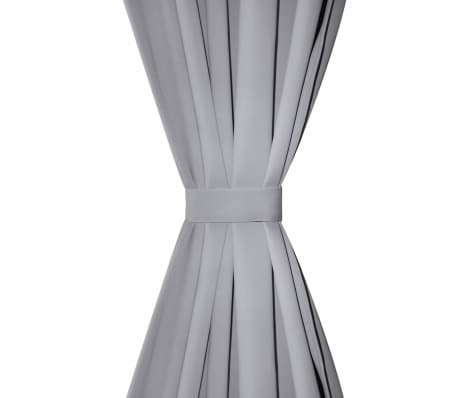 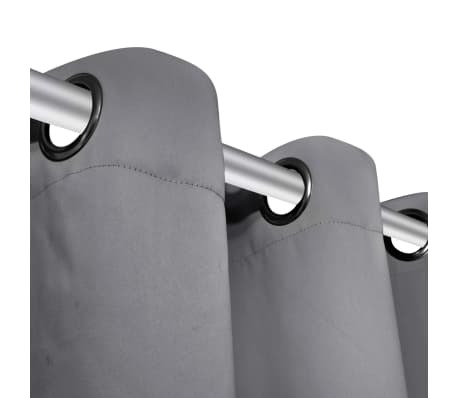 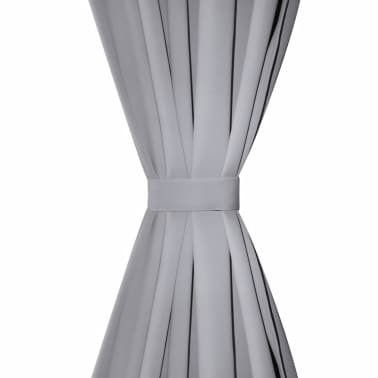 Made of high-quality polyester micro satin, the curtains are suitable for hand wash. 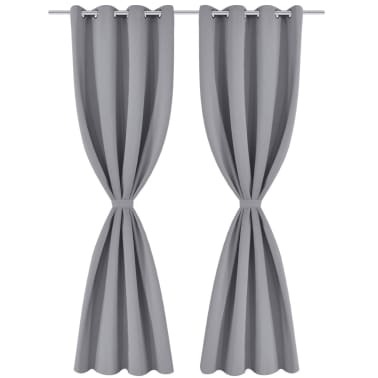 Delivery includes 2 pcs of curtains and 2 tiebacks. 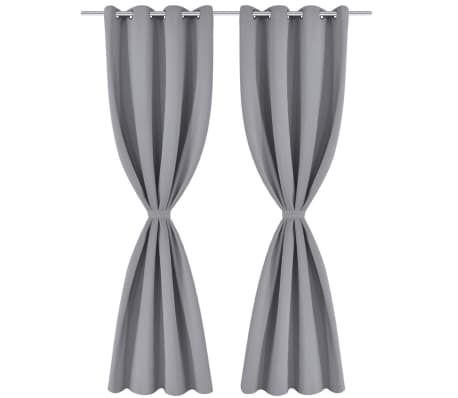 The curtain rod is not included.